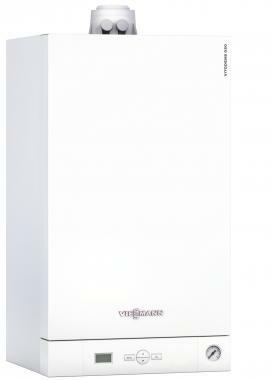 The BPJD Vitodens 050-W is a Combi Gas boiler and is available in 29 - 35 kW options. It is an ideal boiler for installation in living areas with its low operating noise and compact dimensions. It includes system accessories such as weather compensation, plug-in time clock, and wireless receiver option. This wall mounted combi gas boiler is economical and efficient and includes a control unit for a thermostatic mode. The boiler comes with 3 years warranty and has been designed with easy installation in mind with simple wiring and it no pipe cover.